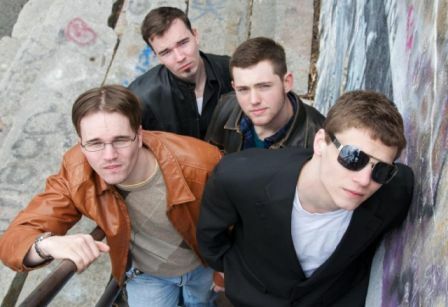 Borderline Eleven is a punk rock band from Hooksett/Boscawen/Webster, NH. They have recently released their album Read Between The Lines. There style is like a younger Blink 182. The songs are catchy and well structured. A nice tone on the guitar by Luke Mason with little "licks" here and there. The drummer, Andrew Mason, is not trying to reinvent a new drumming style, but he is doing exactly what is needed (sort of like what Ringo was for the Beatles) and that is perfect. The vocals delivered by Dan Charpentier have that blend of whinny and passion; a good mix for this punk lifestyle. Joe Campbell is brining in the low end and does a great job and could stand to be turned up in the mix. I would bet 1000 bucks that Borderline Eleven would be very fun to see live. However, the recordings seem to have been recorded by someone who was slightly new in recording. The panning is done strangely, stuff seems to be hard panned left/right, or centered. The vocals could have been thicker. Despite the recording issues, this album is worth checking out. If Borderline Eleven have one, I would love to hear a live album.